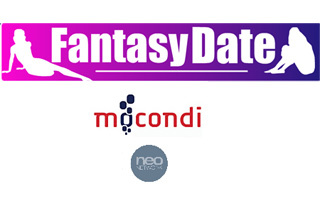 The famous mobile media company, MoConDi has recently announced the launch of its new and innovative WAP-based interactive fictional mobile video dating game, called as Fantasy Date, featuring role-playing features that lead players through hookup and relationship challenges. According to the company, the users can choose a male or female character, and then have to seduce them with their reactions to different video situations that will be presented. “Fantasy Date allows players to get their game on with a fun and original application providing carriers with a compelling new way to engage users and generate revenue,” said J.T. Klepp, President and co-founder of MoConDi. The new Fantasy Date mobile entertainment service is available exclusively on Sprint’s wireless network for just $2.99.